Gentilly is another the collection heavily inspired by the masks used at The International School of Theatre Jaques Lecoq in Paris, France in 1987. This sympathetic and childlike form finds play at every turn, in every object and in every other mask that it encounters. Lecoq confronted his students with the Larval to inspire play and to ask them to find through the interpretation of form a gestural response. 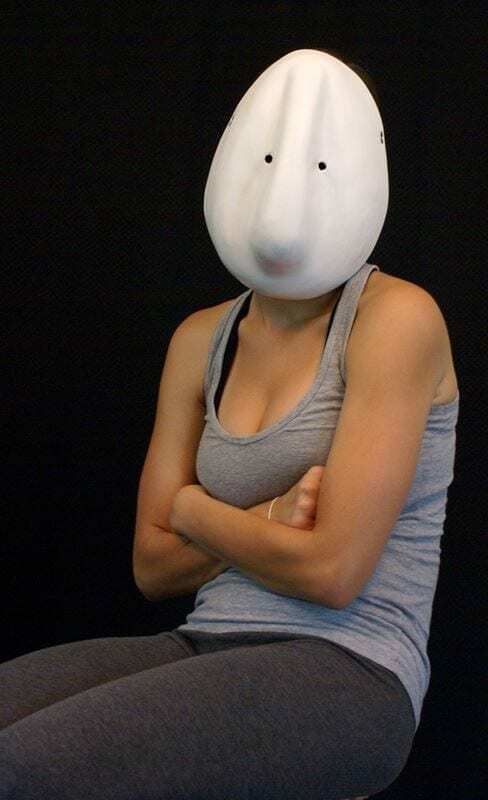 Playing a larval mask is as much a state of mind as it is a corporal interpretation of the architectural form of the mask. The weight, shapes, the line and the planes are all to be considered as the spirit of the individual mask comes into play. 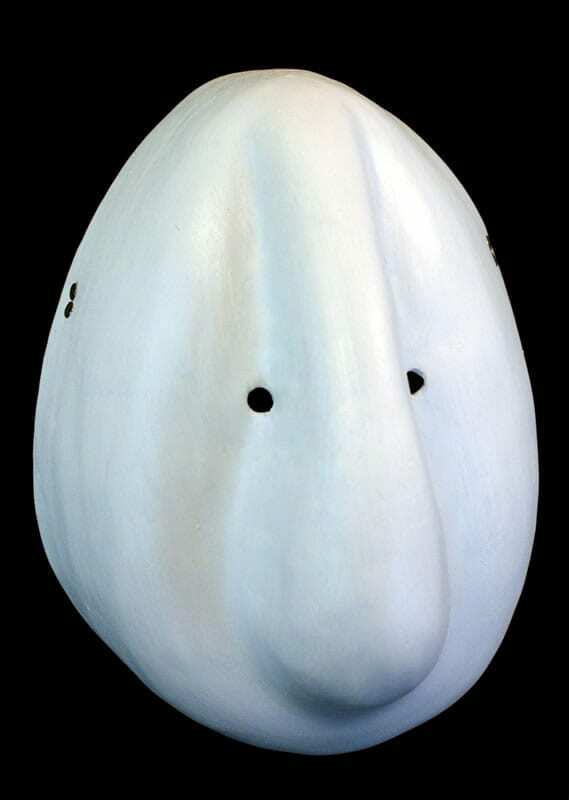 Also known as Basel Masks, the Larval Masks originate in Basel, Switzerland. They’re one of many forms of masks used to celebrate the festival of Carnival.